Electric vehicle car charging points are becoming more in demand as the number of electric cars on the road increases. 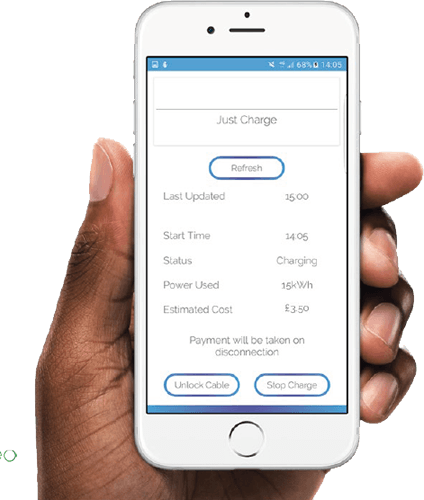 As registered OLEV installers, Empower Energy have teamed up with EO Charging to offer the "Electric Vehicle Homecharge Scheme" to install charging stations at homes around the UK. 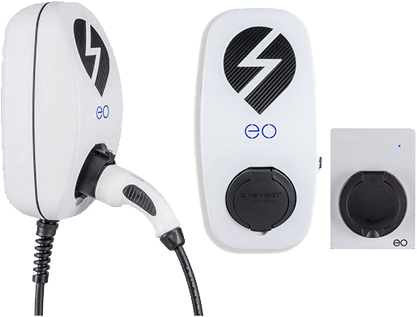 EO Charging units are designed and manufactured in the UK by EO Charging. 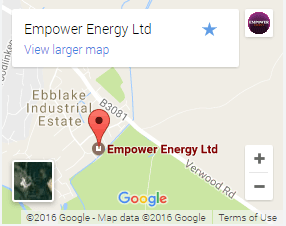 Empower have experience installing residential, commercial and public sector EV charge points. We can discuss your requirements and quote for the full installation of your charger. Up to £500 of the cost of purchasing and installing a home charging point. Available for most electric cars and plug-in hybrid cars. You can claim one charging per eligible vehicle and up to two charging points per household. 2. You must use an OLEV-approved home charging point installer. Our simple and intelligent chargers come with no software. Just plug in and instantly get a charge. The smallest fast charger on the market: designed and built specifically for charging-up at home. Our EO Tethered chargers are designed for charging-up at home. With no software, just plug the cable into your car and instantly get a charge. No nonsense. Just a simple plug and play charging solution. Audi A3 e-tron, Audi Q7 e-tron, BMW 225e, BMW 328e, BMW 330e, BMW i3, BMW i8, BMW X5 40e, BYD e6, Mercedes B Class Electric, Mercedes C350e PHEV, Mercedes GLE 500e, Mercedes S500 PHEV, Mercedes SLS EV, Mercedes Vito E-Cell, Porsche Cayenne S E-HYBRID, Porsche Panamera S PHEV, Renault Zoe, Smart Electric Drive, Tesla Model 3, Tesla Model S, Tesla Model X, Volvo S90 T8, Volvo V60 PHEV, Volvo XC90 PHEV, VW e-Golf, VW Golf GTE, VW e-up! If your are interested in a electric car charging installation for your home, please contact us on 01202 821000 or fill in our contact form with your contact details and our technical team will contact you shortly to discuss your requirements.